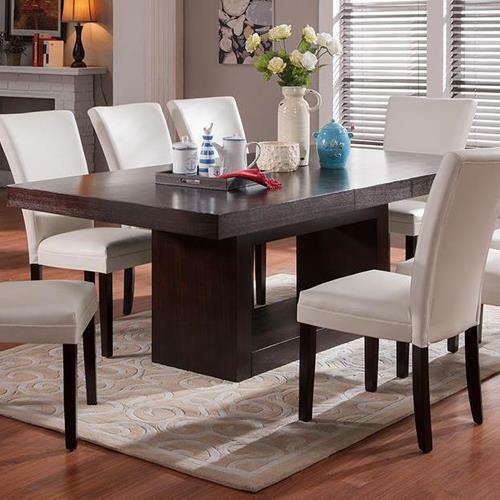 With its simple shape and clean lines, this dining table exudes modern refinement. A dark brown finish creates rich tones, while a unique pedestal base gives the table a contemporary feel. 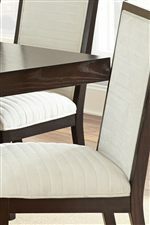 One included leaf allows you to extend the table length for extra guests or serving space. The Antonio Dining Table by Belfort Essentials at Belfort Furniture in the Washington DC, Northern Virginia, Maryland and Fairfax VA area. Product availability may vary. Contact us for the most current availability on this product. 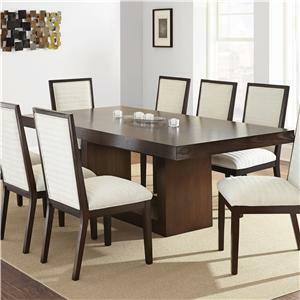 284575916 Dining Table Top 1 44" 70"
803694232 Dining Table Base 1 31"
The Antonio collection is a great option if you are looking for Contemporary furniture in the Washington DC, Northern Virginia, Maryland and Fairfax VA area. Browse other items in the Antonio collection from Belfort Furniture in the Washington DC, Northern Virginia, Maryland and Fairfax VA area.